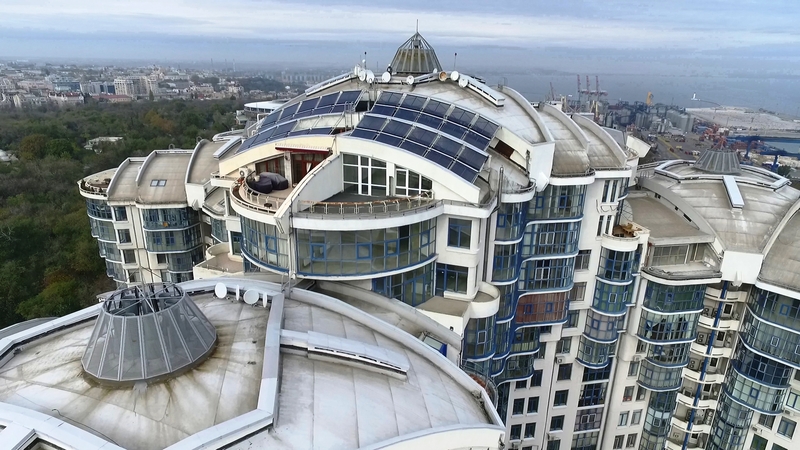 Solar energy, the cleanest, strongest and most accessible of all types of renewable energy, is increasingly popular in Ukraine, Moldova and Georgia. While solar energy was initially used to heat water, it has also become a source of electricity. We met university professor Boris Afanasiev from Odessa in front of the monument to Josep de Ribas, the admiral who founded this city. 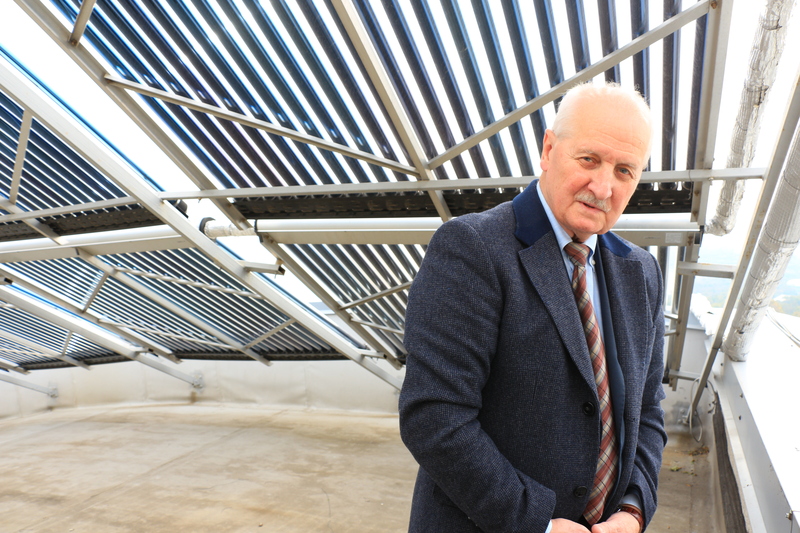 Several meters from the statue on the roof of a house on Lech Kaczyński Street, the professor showed us an example of the installation and use of solar panels. In Odessa, several city blocks and commercial buildings have similar systems mounted with the technical support of Professor Afanasiev. “First of all, solar energy can be used to heat water. Thus, we can reduce up to 70% of our electric bills. Second, we can generate electric power by installing photovoltaic panels. Thanks to solar energy we can save power in our houses at the beginning and at the end of the heating season,” he explained. According to the expert, solar energy systems are increasingly cheaper and their installation cost is repaid in just a few years. Close to the Black Sea shore, a modern dwelling complex is partly supplied with solar energy. The installation was mounted seven years ago at the request of the administration of the complex. The solar panels fit perfectly with the building’s architectural style and are mounted on two levels on the area of 160 square meters. In fact, homeowners in Ukraine can transform their houses into “money factories” by installing solar panels and enjoying the feed-in tariff. However, solar panels are still quite expensive, and not everyone dares to install them. 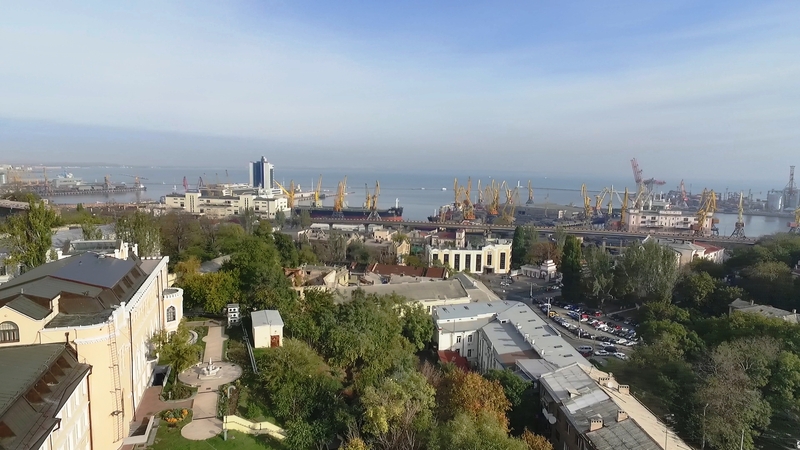 To encourage and help people understand the benefits of such projects, the online platform Odessasolar.org was launched in Odessa. It provides free calculations for installing a solar system on each apartment block: cost of necessary equipment, energy generation capacity, as well as the pay-off period. All of Ukraine can be considered suitable for using solar energy as the annual average potential is quite high at 1235 kWh/meter(m). For example, the solar energy potential in Germany is 1000 kWh/m, and it is 1080 kWh/m in Poland. A Medieval castle located in the town of Akhaltsikhe in the Samtskhe-Javakheti region attracts hundreds of thousands of visitors, both from Georgia and from abroad. A mosque, a minaret, a synagogue, a Christian church, Jakelis’ Palace, a museum and a fortress are all located here on seven hectares. At 1000 meters above sea level, Akhaltsikhe dates back to the 9th century and was initially called Lomisa. 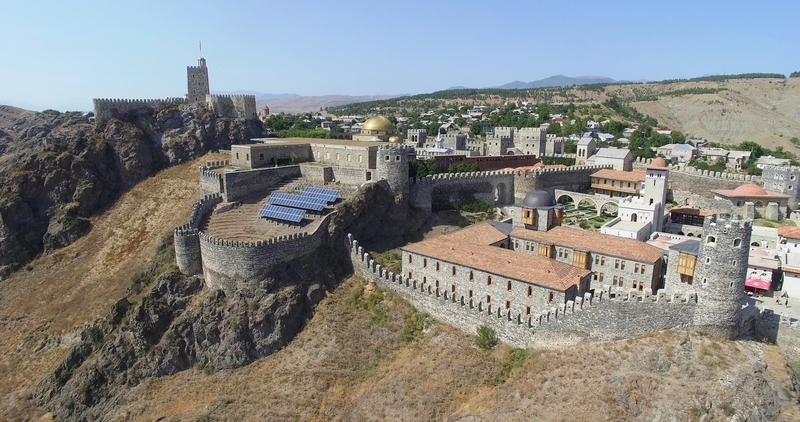 Located at the junction of the most important regional roads as well as of the roads coming from Turkey and Armenia, the town has become even more attractive after the reconstruction of the Rabati Fortress in 2012. The fortress has become the business card of the town and offers an impressive light show. This architectural jewel is charming not only during the day but also at night when it is illuminated from all angles. Obviously, this visual delight was quite expensive, and the authorities were worried about reducing power costs. Savings became possible due to the projects implemented after joining the European Covenant of Mayors for Climate and Energy in 2013 and assuming their commitment to reduce CO2 emissions by at least 20% by 2020. An action plan on sustainable energy and climate has also been adopted. It includes actions in transport, building and street lighting. In 2015, the costs of illuminating the fortress and its related facilities were assessed, and the experts recommended increasing energy efficiency by replacing traditional lamps with smart ones. Recently, a system of solar panels was also installed. According to environmental activist Nugzari Tateshvili, there are 100 photovoltaic panels in total, each two meters in size. Thus, the solar energy accumulated during the day is used to light Rabati Fortress at night. 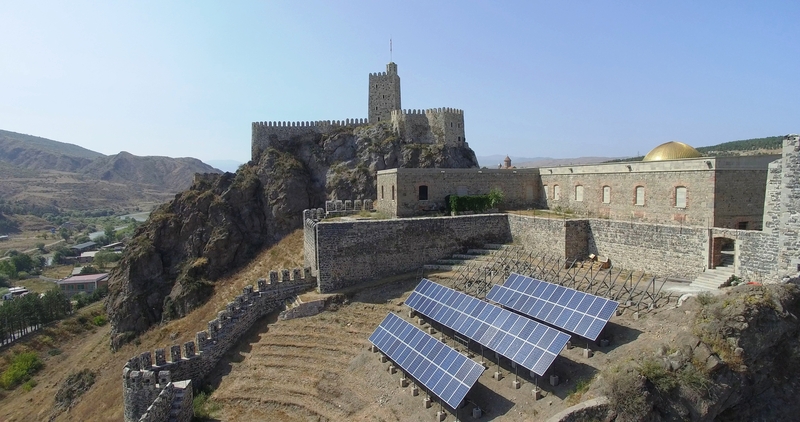 “The hotels, restaurants and other buildings in the complex are connected to the traditional power system, but the fortress is illuminated with energy supplied by solar panels,” Tateshvili explained. Annual savings of 246,874 KWh are estimated, which is the equivalent of 59,250 GEL (about 19,000 EUR). All the lamps that illuminate the fortress walls have been replaced with LEDs that are energy efficient. Energy efficient lighting also covers the entire area of the town that comprises 95 main streets, side streets, lanes and highways with a total length of 51,994 km. At the time of our visit, only two streets still needed an efficient lighting system. 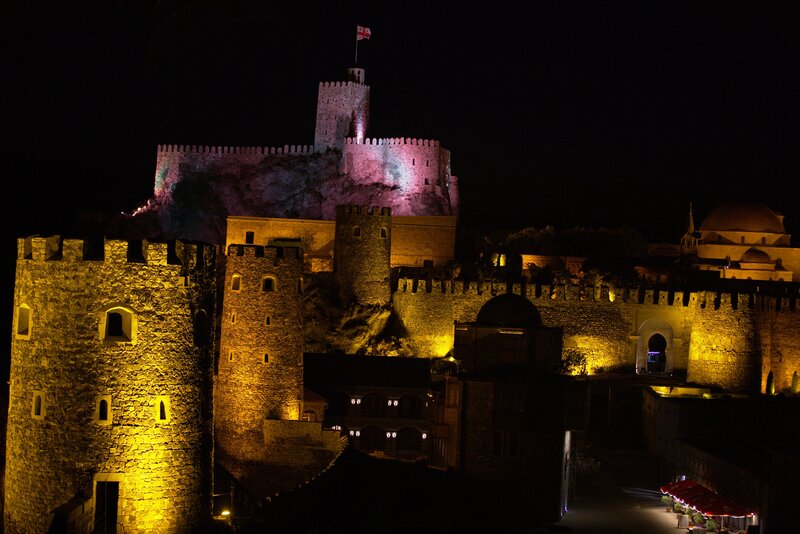 At nighttime, Akhaltsikhe and the Rabati Fortress seem to be in a fairytale. Accompanied by Nugzari Tateshvili, we continued our trip to Atsquri. 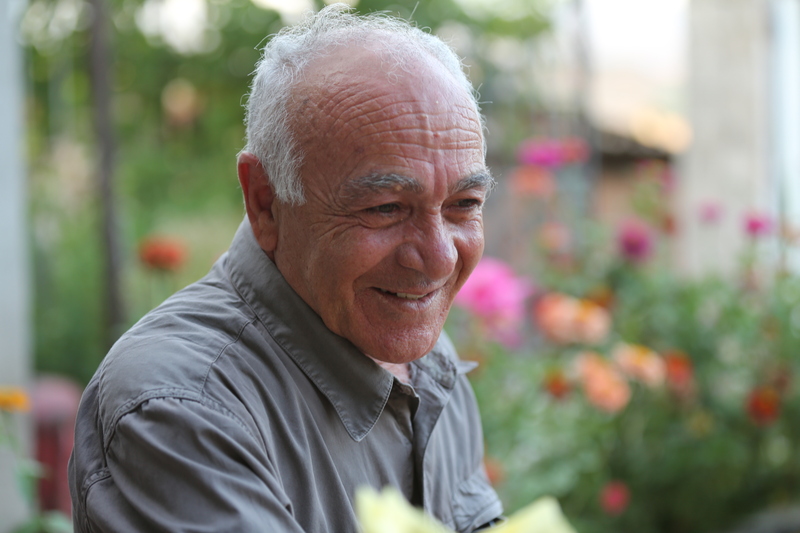 He suggested finding accommodation at the entrance to the Borjomi-Kharagauli National Park at the Nick and George Guesthouse. 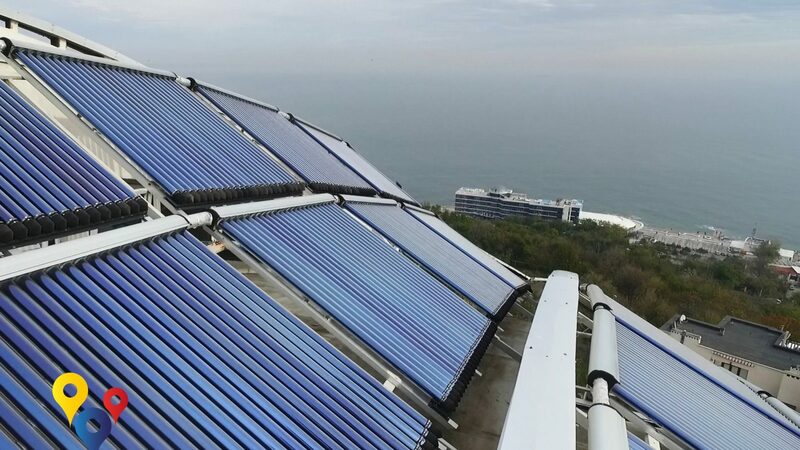 This place was selected deliberately as for over three years, the hot water for hotel needs has been supplied from a solar collector installed on the roof of an adjacent building. The collector is mechanically rotated several times a day in the direction of the sunrays. This heats about 500 liters of water that is used by the visitors and staff of the guesthouse. The water heating installation was built by the owners after they received theoretical and practical training provided by the Georgian nongovernment organization (NGO) Center for Social Development of Akhaltsikhe under the regional project CLEEN (Civil society Local Energy Efficiency Network). With the support of CLEEN, over 700 solar collectors have been installed in Georgia, Moldova and Armenia, and over 30 organizations from project countries have been involved. Hot water is no longer a luxury for the students of St. Elisabeth High School located in the town of Edineț in the north of Moldova. 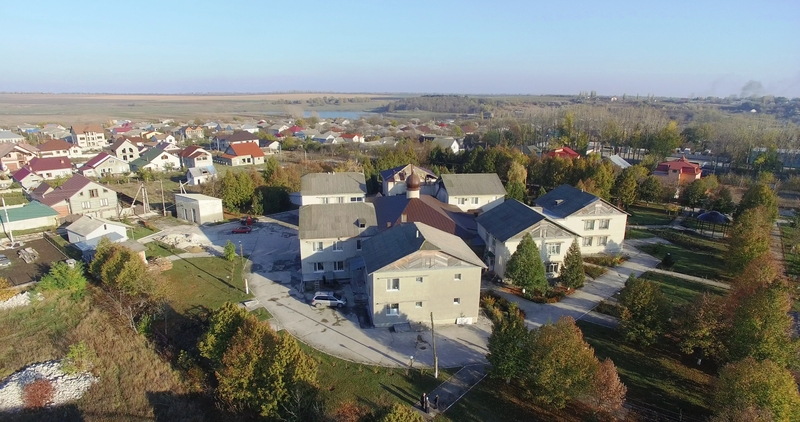 Last year, a solar collector was installed on the roof of the institution under the CLEEN program with co-funding from Small Grants Programme of the Global Environment Facility (GEF SGP) in Moldova. The new installation has allowed the construction of two shower cabins in the dormitory. Now, the hot water is used by 18 students for personal hygiene as well as for the kitchen. Students from socially vulnerable families study in this institution that combines humanities with theology and provides them with free education, accommodation and food. The benefits of the solar collector convinced the students to take part in a regional contest for upper secondary students for small grants. The contest was organized by the NGO Collaboration with a view to developing innovative ideas for energy efficiency and using renewable sources in the community and in educational institutions. The students at St. Elisabeth won the contest and received a grant amounting to 20,000 MDL (about 1000 euros) for the thermal insulation of the dormitory’s northern walls. The initiative was supported by churchgoers who then donated money to insulate all the outside walls of the dormitory block. For several years, the dream of the school administration was to install a wind station as their source of power. Unfortunately, although they have applied for several grants, they have not received any support for this project yet. The solar potential of the Republic of Moldova is favorable for the development of large-scale projects. 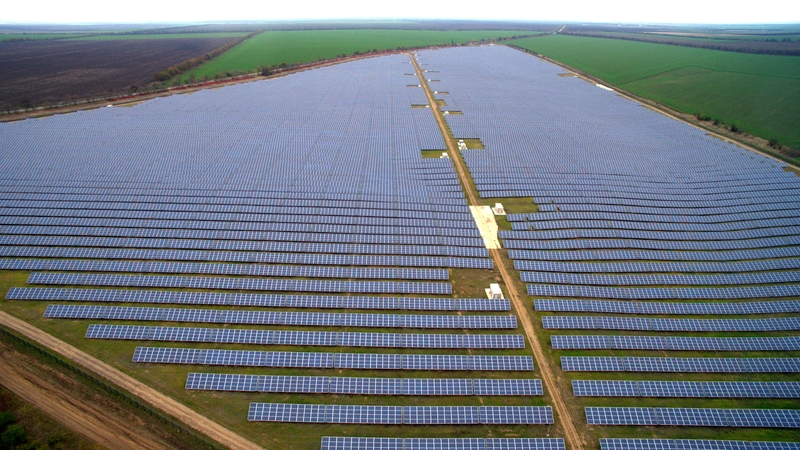 An example is the photovoltaic park at Strășeni, administered by the French investor Frank Le Borgne. Its capacity is 333kW, and the power produced is supplied to the national distribution grid at a tariff of 1.9 lei/kwh (0.09 euros/kwh). 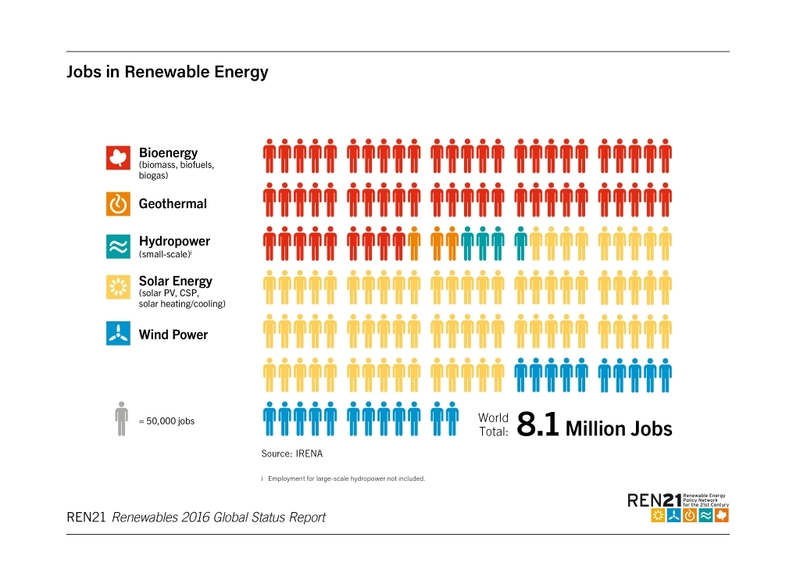 According to the experts, the whole world will turn to renewable sources of energy by 2050. This isn’t just a vague notion but is rather a need to achieve the main objective of the Paris Climate Agreement to keep the global temperature increase under 2˚C. If countries do not start addressing the issue of environmental protection, the temperature on Earth might increase by 3.7–4.8°C by 2100. This could lead to irreversible consequences for the environment that could start with a temperature increase of more than 2°C. For Moldova, Georgia and Ukraine the shift to renewable energy will not mean just a reduction of dependency on imported power sources but also environmental, public health and employment benefits.